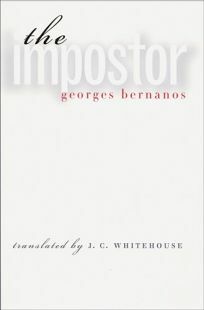 This 1927 novel by Bernanos (1888- 1948), newly translated by Whitehouse, centers on a priest with a soul-searing dilemma. Father C nabre, member of the Parisian theological illuminati, the brilliant author of celebrated texts on mysticism, is a cool, even arrogant defender of the need to live a Christian life in a secular world. When he confronts Monsieur Pernichon, a priest manqu who writes a religious column in a radical paper, Pernichon is at first appreciative of the critique (as Parisians who come in contact with C nabre tend to be), but soon recoils under Cenabre's heartless, relentless X-ray scrutiny. Shortly afterward, C nabre discovers that he has lost his faith. Sustaining his public image, he shares this realization only with an aging, humble cleric named Chevance, who poses no threat in competition for the Parisian limelight, and for whom C nabre finds a place in the diocese of Paris after a profane exorcism Chevance performs in the provinces goes awry. What follows may best be termed a religious detective story as C nabre and Chevance search for C nabre's missing soul. Traversing the intellectual minefields of C nabre's present and the sometimes harrowing alleyways of his past, Bernanos runs his plot on two clocks. The surprising resolution centers around the question of to whom the dying Chevance should entrust the pure flame of a young female parishioner. Austere, intellectually challenging and, occasionally, achingly poignant in the tradition of French-Catholic mysticism, the novel achieves a certain quiet spiritual triumph, a faith-at-low-ebb form made popular in the English-speaking world by The Power and the Glory. (May) FYI: J.C. Whitehouse is the author of The Human Being in the Catholic Novels of Graham Greene.